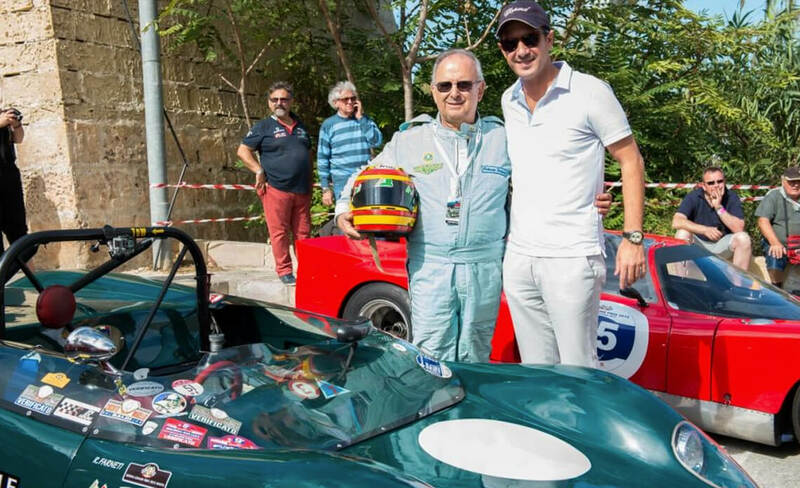 Malta’s weekend-long classic car tournament, came to a festive close on Sunday, when Roberto Farneti driving a Lotus 23B 1963 was proclaimed winner of the 2015 edition. Farneti an Italian from Ravenna, Italy is a longtime sportscar driver, who is still racing historic events in Europe, amongst great accomplishments his other victory includes the Italian GT4 cup in 2004. LEFT TO RIGHT: JOE SAID (CHAIRMAN OF THE VALLETTA GRAN PRIX FOUNDATION), ROBERTO FARNETI (THE WINNER), DREW CAMPBEL-SMITH (FROM CHOPARD) & MALCOLM LOWELL (FROM EDWARDS, LOWELL). Chopard and Edwards Lowell are official sponsors of the Mdina Gran Prix each year the winner is awarded with a Chopard watch. 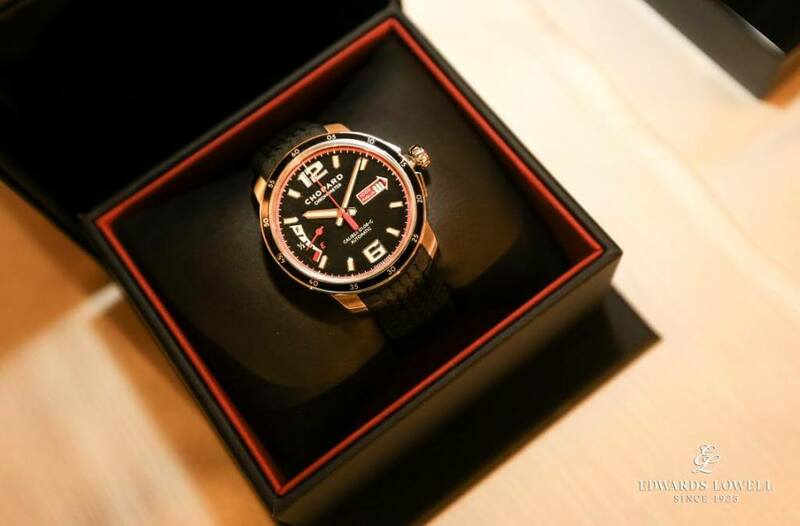 For the 2015 edition the prize was Chopard’s Mille Miglia GTS 2015 – a watch known for its power, resistance and aesthetics. This resolutely masculine timepiece bears all the hallmarks of Chopard’s expertise. Its stainless steel watch on a rubber strap features an emblematic black dial, with a power-reserve indicator at nine o’clock. Chronometer certified by the COSC (Contrôle Officiel Suisse des Chronomètres), the movement is equipped with a stop-seconds function allowing precise adjustments. 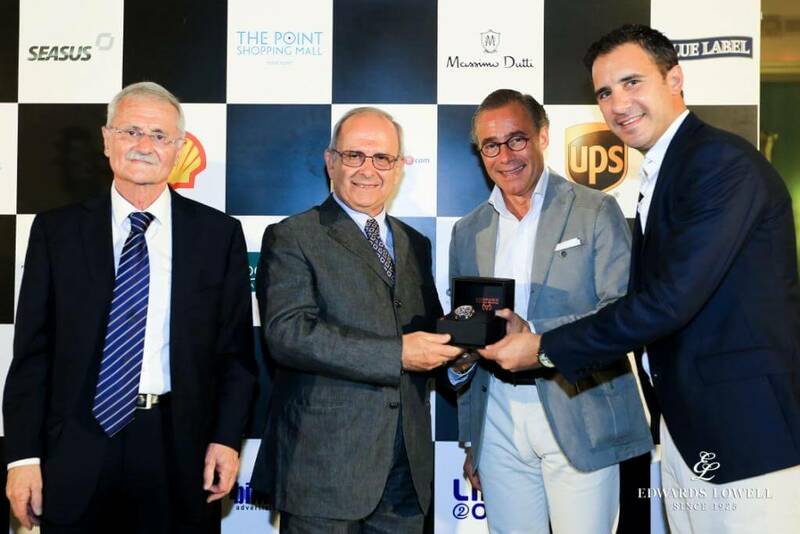 The Mille Miglia GTS 2015 was presented to Roberto Farneti by Drew Campbell- Smith from Chopard and Malcolm Lowell from Edwards, Lowell. During this year’s races, spectators in the VIP area had the opportunity to discover Chopard’s iconic Mille Miglia collection, displayed in the Chopard corner. Chopard internationally is sponsor and timekeeper of the Mille Miglia race since 1988.